All reformation is self-reformation. Otherwise it would be called brainwashing. There’s no such thing as filler in mlp, because there’s no such thing as a major plot line. By your logic Griffon the Brush-off is filler. Twi‘s look is just the cutest thing. Oddly enough, that gif comforts me. So, starring a cyborg unicorn and a bunch of prostitutes. Okay then. Then, for the sake of your sanity, maybe you should edit your filters. 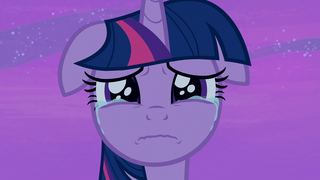 Your grammar is making Twilight cry. Give me time to correct it. Perhaps after all six parts of Spring Breakdown have been uploaded to YouTube, this music video will have a name. "YOU GET EXPLODING SPRINKLES! AND YOU GET EXPLODING SPRINKLES! EVERYBODY GETS EXPLODING SPRINKLES!!!!"